Moving artwork in New York demands skills and experience of exceptional standard and quality throughout. The same applies to moving antiques and other valuable objects. Thereby, it is of utmost importance to ensure that these precious and rare items are transported safely and securely, even when it comes to their local relocation. Obviously, the only right way to provide your treasures with the proper level of protection is to hire professional shippers of fine art. After all, only people specializing in art and antique moving in NYC can guarantee that everything arrives at the destination intact. As a reliable shipping company proficient in art and antique moving in NYC and worldwide, Fine Art Shippers pays attention to every detail of the transportation process. From using special climate-controlled trucks that are always clean and neat to providing a variety of art storage and packing solutions to meet the requirements of every transported item, our team takes care of everything from A to Z. 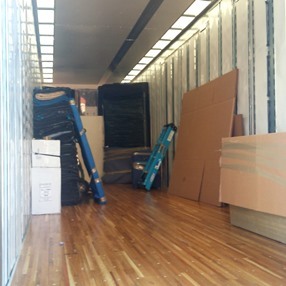 Professional art and antique moving in NYC is our job, and we know how to do it right! Fine Art Shippers is a family-owned business with a small team of dedicated art handlers who do love their job. Besides, while we are not as large as some other reputable art and antique moving companies in NYC, we offer the same range of services adhered to the same standards of quality and safety. Plus, our pricing is transparent, fair, and it is definitely extremely competitive. art installation and deinstallation of any level of complexity. For today, our extensive experience in art and antique moving in NYC allows Fine Art Shippers to work with designers and decorators, auction houses, art and antique dealers, galleries, museums, artists, and private collectors from around the globe. You can entrust our team to move your most precious and valuable belongings as we guarantee that everything will be delivered intact and on time!